Bodybuilding is more than just a sport, it is a lifestyle that requires a lot of dedication. Unlike other sports or physical activities, bodybuilding is a 24 hour pursuit in which attention to both nutrition and exercise is critical to being successful. Are there cheap body building meals? Unfortunately, bodybuilding can also be quite expensive. The high quality food and supplements needed to build muscle and recover from workouts can be costly. In addition to the costs involved with the bodybuilding diet, there is also the expense of the training. Gym memberships and other equipment can add to the monthly budget. Building a great physique doesn’t always have to be an expensive endeavor if you’re creative. In this article we will be covering the importance of fueling your body with proper nutrition, how to choose cost-effective protein sources, when to buy in bulk, and how to offset gym membership costs while on a budget. In order to build and maintain muscle, bodybuilders eat differently than the average person. A sedentary individual typically eats three meals a day and will eat only when they feel hungry. They will eat based on what they’re craving or what is available. Bodybuilders on the other hand will choose to eat foods that focus on building muscle, keeping their body fat low, and recovering from intense workouts. 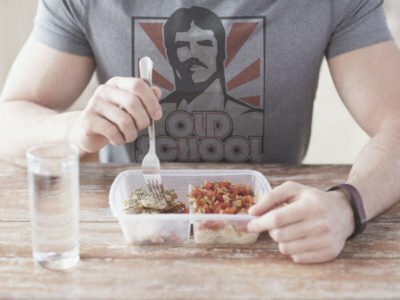 Golden Era Icon and OSL Brand Ambassador, Ric Drasin, chooses to eat the same variation of his breakfast everyday (cottage cheese, a hamburger patty, and eggs) as these provided him with the proper nutrients he needs to help build and/or maintain his physique. Bodybuilders can eat up to 6-9 small meals per day. They structure their meals about 2 1/2 to 3 hours apart in order to keep the metabolism up, repair and build muscle tissue, and keep the body in an “anabolic state”. Protein is a very important component to a bodybuilding diet as it is the only macronutrient that will rebuild muscle tissue. Bodybuilders must eat enough of protein in order to develop muscle. During the Golden Era of Bodybuilding, since supplements were sparse, bodybuilders focused on eating large amounts of protein, fats and a small amounts of carbs. Every meal that a bodybuilder eats will have a complete protein food as it’s main component. Complete protein foods contain all nine of the essential amino acids. The essential amino acids are those that the body cannot make on it’s own. The foods that contain all of the essential amino acids come from the meat and dairy food groups. For example, foods such as turkey, chicken, beef, fish, eggs, milk and cheese. The complete protein foods should be the staple of each bodybuilding meal. Purchasing large quantities of complete protein foods can be expensive, however, in the long run it saves you money. Here are some tips on how to keep your food budget down when bodybuilding on a budget. When purchasing beef, consider eating leaner cuts like flank steak, round steak, and sirloin steak. These are much cheaper than the premier cuts of beef and will help to save you money while keeping your physique leaner. Eating premium cuts of beef like rib-eye or porterhouse, tends to be generally more expensive and usually contains more fat. Lean ground beef that is 96% lean, 4% fat, is also a good alternative and usually much cheaper than steak. When Arnold Schwarzenegger was competing, one of his favorite protein foods was lean ground beef. He would make hamburgers mixed with onions for his protein burgers after training for three hours a day. Some choices of fish can also deplete the wallet pretty quickly. Here are some cost-effective fish options to incorporate into your bodybuilding diet a few days a week. Tilapia – Tilapia is high in protein but low in calories and fat and can be purchased in bulk from wholesale discount clubs. Canned Tuna Fish – This is a popular food source for bodybuilders who are living on a limited income. Canned tuna fish is fairly inexpensive and is a great high protein, low fat food. At the beginning of their bodybuilding careers, Mr. America Tony Pearson and Mr. Universe Tom Platz would eat canned tuna fish a few times a week as this helped keep their food costs low when they were living in Venice Beach. Kidney beans are often overlooked when people think of bodybuilding foods. Kidney beans are highly nutritious and are a great source of protein and fiber. One serving of a ½ of cup of kidney beans will provide you 8 grams of protein, which is equivalent to drinking an 8 oz serving of milk. Buying canned or dry kidney beans are relatively cheap and will not break the bank. Kidney beans are also high in fiber and contain a wide array of vitamins and minerals. Another way to reduce your food cost is to buy your protein in bulk. One of the most popular products for bodybuilders are eggs. Some bodybuilders eat as many as a dozen egg whites every day so eggs can get expensive quickly. Buying eggs in larger quantities can help to reduce the price. Many grocery stores offer eggs in 18 egg cartons as opposed to the normal dozen eggs. Often, you can even buy as many as 36 eggs in one carton. Wholesale discount clubs offer cheaper prices when buying eggs in bulk instead of purchasing eggs by the dozen. Of course, you cannot freeze eggs so only buy as many as you will eat before the listed due date on the carton. Chicken is another popular source of protein for bodybuilders. Many stores will sell chicken in larger quantities at a discount, similar to how eggs are sold. When buying protein foods in bulk, you will need to freeze the animal protein sources so they don’t go bad while they are stored in your refrigerator. Keeping the foods frozen will keep them fresh so they will be safe to eat weeks later. When freezing your meals, be sure to label the date you prepared the food to keep track of how long the food has been in the freezer. When freezing your proteins, store them in small baggies so they are easy to consume. For example, if you purchase four packages of ground turkey or ground lean beef, divide the turkey and beef into the proper serving size (4-6 oz) and store them individually in small baggies. When you are finished, put all the protein into the freezer so it will stay safe and take them out individually to let them defrost when you are ready to eat them. This will make the preparation process much easier. 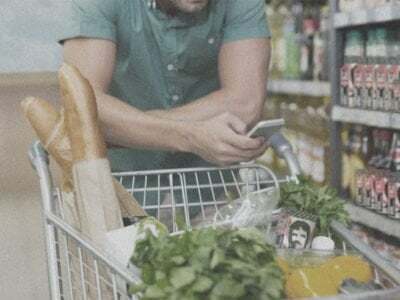 Most complex carbohydrate foods like rice, potatoes, pasta, oatmeal and bread are relatively cheap so they should not place a big burden on your grocery bill. Some of the carb food sources, like oatmeal and rice, can also be purchased in larger quantities to save money. Fruit and vegetables are also cheaper than higher priced protein foods. When possible, try purchase fruits and vegetables that are in season. Typically, if they are in season, the costs of the produce will be cheaper. Fresh fruit and vegetables cannot be purchased in large quantities because the foods will go bad before they can be eaten. However, frozen fruits and veggies can be purchased in larger quantities and stored in the freezer to be eaten later. This will help to save money when buying fruits and vegetables. In the sample meal plan listed above, the protein sources of food come from eggs, ground turkey, chicken breast, tilapia and tuna fish. With the exception of the eggs, most of the other protein foods (ground turkey, tilapia, and chicken) can be purchased in larger quantities and stored in the freezer to be eaten later. This helps to save money and reduce trips to the supermarket for those wanting to start bodybuilding on a budget. Many of these foods should be prepared ahead of time so they are easy to eat when it comes time to fix a meal. This includes the rice, salad and the whole wheat pasta. By preparing larger quantities of these foods and keeping them stored in the refrigerator, they will be ready when you need them. 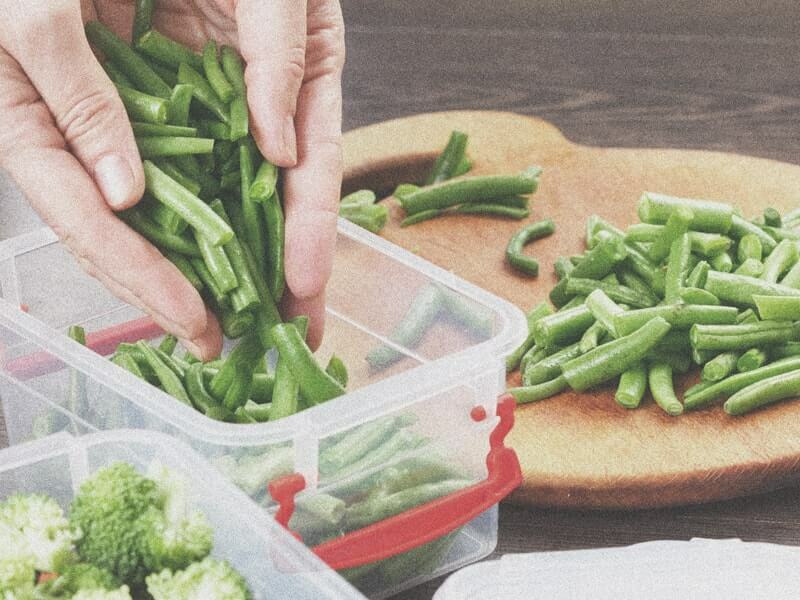 When preparing your own meals ahead of time, not only will you save money over purchasing prepackaged meals, but you will also have the peace of mind knowing exactly what goes into your meals. Another expensive aspect of the bodybuilding lifestyle is gym memberships. A fully equipped gym in a nice location can run anywhere from $50 a month and up. This cost can really add up over an extended period of time. Here are some tips to help offset your gym membership costs. One option to bringing down the cost of a gym membership is to purchase a long-term membership instead of paying month-to-month. Many gyms will offer several months free with the purchase of a year membership. If you like the gym a lot and plan on living in the area for a long period of time, you might want to consider purchasing a two or three year membership as an option for saving more money. In this age of social media, another way to save money on gym memberships is to offer your services to the gym to help them promote the business. If you have ties to the fitness community or if you have a large social media following regardless of your profession, you could offer to help post pictures and videos of the gym you belong to on your social media outlets as a way to help promote their business. 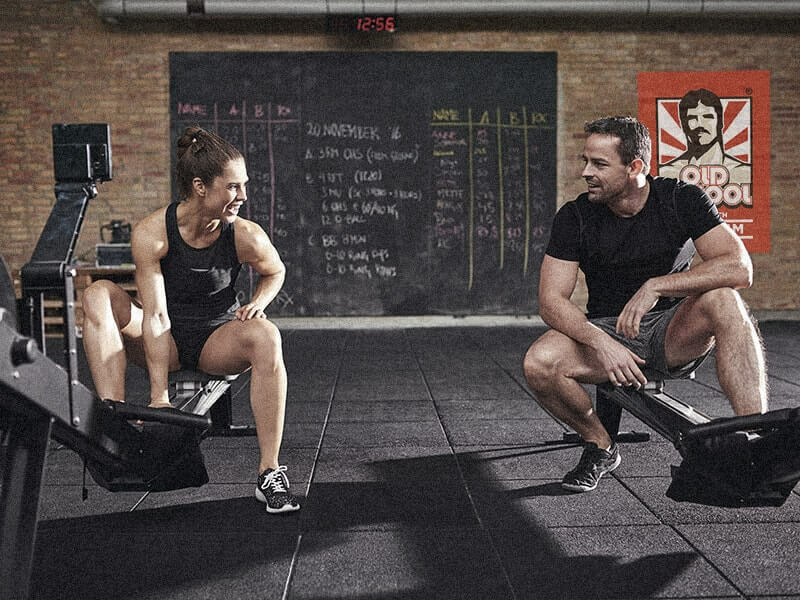 A forward thinking gym owner may allow you to train for free at his establishment if you can help promote his business as he or she would know that this would bring more members. This option would work best in a gym that is owned by an individual owner instead of a corporation. With a corporate-owned gym, decisions to allow for a free membership of this type would have to be approved by the top management first. When deciding on what gym to join, check out discounted sites like Groupon, LivingSocial, etc., for gym memberships. These sites will often have great deals on gym memberships and/or classes. Do some research to find the best deal that works for you. Now that we’ve covered our tips on how to save money while staying fit, we want to hear from you! Share with us your cost-saving tips for bodybuilding on a budget in the comments section below.